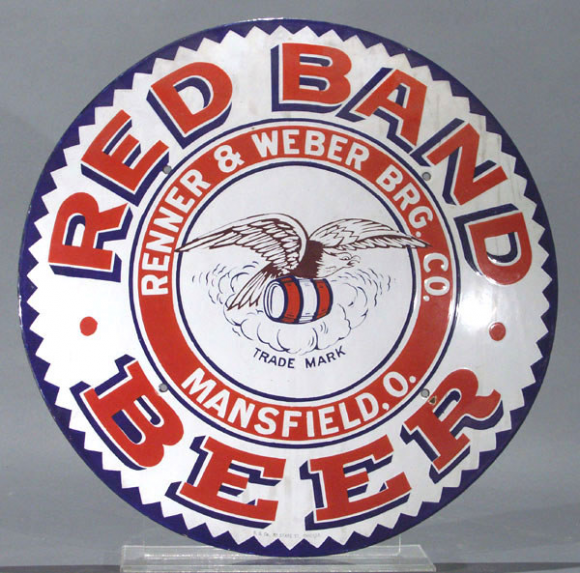 This is a round Red Band Beer porcelain sign. This particular Red Band Beer sign is white and red. It reads, “Red Band Beer, Renner & Weber Brg. Co., Mansfield, O.” and features an eagle carrying a barrel in the center of the sign.